It’s the one of the most popular sunglass styles, but also the style that some people find most difficult to wear. If you’re still searching for the perfect aviator for your face, here is how to get it. 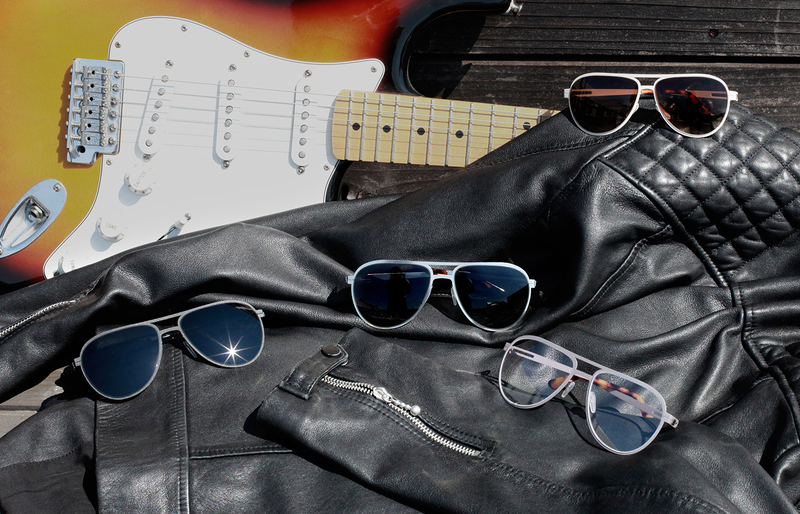 When it comes to sunglasses, there are few styles more popular than the aviator. It is undoubtedly one of the most iconic and popular sunglass silhouettes of all time. The aviator was originally developed for fighter pilots in WWII to provide exceptional eye protection and visibility high above the clouds. But it has since become a timeless favorite of everyone from movie stars to those of us rocking as street style. Left: Classic Masculine with a Rock & Roll edge. Center: Feminine Boho. Right: Smart Casual. Is the Aviator the right style for you? The quick answer is probably “yes." As sunglasses, the aviator represents an excellent choice for most people, provided you manage to find the right size and proportions for your face. But, while the style is a solid choice for most people, some people may find it harder than others to find the perfect aviator for their individual face. Who is a natural fit for classic aviators? The taller height of the ”teardrop” shaped aviator lens provides great balance to oblong faces that appear taller than they are wide. The form of the aviator lens directs attention downwards and out towards the lower corners of the frame. This provides fantastic contrast for anyone with a face that appears wider in the upper half of the face then it does in the bottom half. For example, if you have a narrow or pointy jawline, or prominent browline, aviators are going to look great on you. With its smooth, sweeping lines, the aviator is excellent at softening the aesthetic of people that have sharper, more pointed features. Who typically struggles with most aviators? Due to the tall lenses and often strong curve, the most common complaint with aviators is that they sit on the wearer’s cheeks, and lift in the air when they smile. With a large surface area and strong wrap, aviators often present a problem for people with low nose bridges, especially people of Asian origin. If the bottom half of your face appears wider or more prominent than your top half, (i.e. your jawline is wider than your forehead) then aviators will accentuate this look and draw further attention to the bottom of your face. If you are considering aviators as prescription sunglasses or eyeglasses, be careful. The large lens surface and strong wrap can create problems for strong prescriptions. 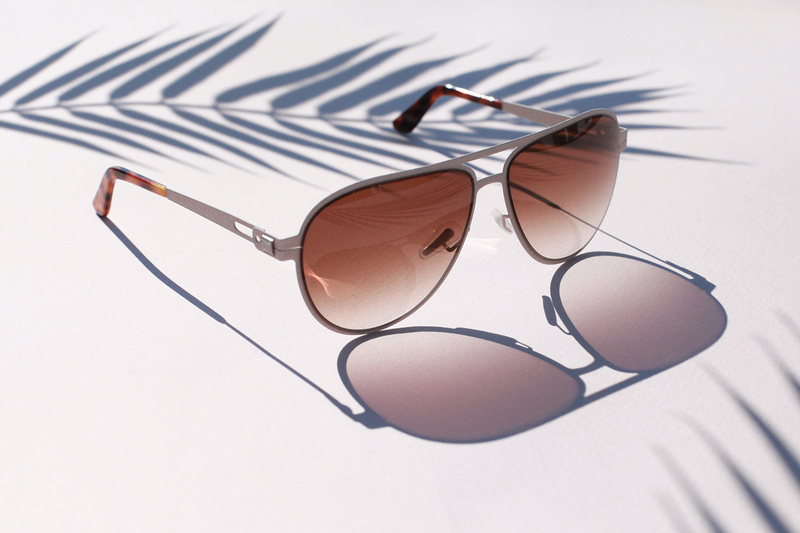 The Aviator with a perfect fit for almost any face. Since introducing custom-fit eyeglasses and sunglasses to the world in 2017, we’ve received more requests to offer Aviator frames than any other frame. 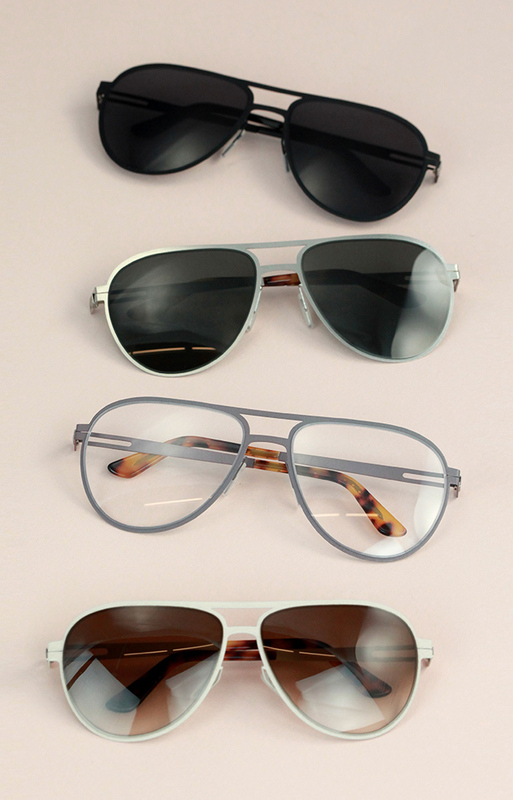 We are now delighted to offer the Presidio - the first aviator frame available with a custom-fit from Topology. Whereas typical aviators are traditionally made from rigid metal, our aviators are crafted from our lightweight stainless steel. This makes the frame more lightweight and flexible, yet durable, than you could ever imagine. Since each pair of Topology glasses is made for each individual, your Presidio is guaranteed to fit. All of the common struggles, including sliding down your nose or touching your cheeks, are eliminated with our custom-fit. 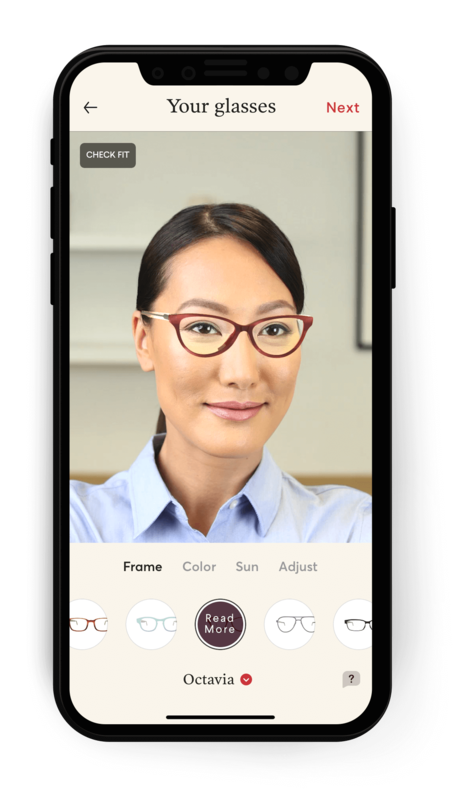 When you preview your Presidio frames in our app, we auto-fit the frames specifically to your face measurements. That being said, many of our clients like to adjust the width and height settings to suit the proportions of their face. Available in your choice of 17 frame colors and 10 lens tints. Use the "Width" slider under “Adjust” to ensure the frame covers your face from ear to ear. Imagine your face divided into 3 sections from top of your hairline to bottom of your chin. Your Presidio glasses should sit in the middle of the central 1/3rd of your face, and should fill the space but not more. Ensure the frame sits high enough, for both sun protection and visual appeal. You can use the "Drop" slider within the "Adjust" tab to establish where the frame sits. Presidio For Elise In Blush With Brown Fade Lenses. These are just guidelines, there are many people that look great by breaking the rules. So why don't you be the judge? Style yourself today, with a virtual try on in the Topology app.